Now that the 2015 Woodstock Film Festival has officially wrapped, we would like to take an extra moment to thank the many volunteers and supporters who make the festival a reality year after year. To our venue managers, press, art volunteers, interns, special event coordinators, techies, hospitality personnel, and many others - THANK YOU! As part of our thanks, we are happy to announce a special WFF Volunteer & Supporter screening (in conjunction with the Hudson Valley Film Commission) of the 2015 Audience Award winning Hudson Valley shot GOOD OL' BOY. The screening will be held at Upstate Films Woodstock in mid-December. The fest is over, but in case you missed it, check out some of the amazing coverage we received during and post fest. A big thanks to members of the press from INDIEWIRE, THE HOLLYWOOD REPORTER, i-D and VICE, THE HUFFINGTON POST, BMI, and EXAMINER. Shot locally, tune into PBS this Sunday for a special presentation of this doc! The feature film based on the WFF award-winning short doc and written by Advisory Board member Ron Nyswaner. The new narrative feature, starring Sandra Bullock, is based on Rachel Boynton's documentary and 2005 WFF Official Selection. School of Rock founder Paul Green, who heads up his all star band each year at the WFF Maverick Awards, and Woodstock Music Festival icon / WFF advisory board member Michael Lang are kicking off a much anticipated endeavor. Our sympathies go out to the Adler family as we mark the passing of Cyrus Adler. As the owner of the Tinker Street Cinema (now Upstate Films) and the former Deanie's Restaurant (now Cucina) and several other Woodstock businesses, Cyrus made the first years of the Woodstock Film Festival possible. We will forever be grateful and are sending our deepest sympathies to his family. The 2013 Woodstock Film Festival co-Audience Award winner for a documentary feature began its theatrical release run on October 31. Step into the unique and thought-provoking world of lifetime outsider artist Al Carbee, an 88-year old eccentric who spends his days creating outlandish works of art featuring Barbie Dolls. Filmmaker Jeremy Workman has spent over a decade of friendship with Carbee compiling extensive footage and memories to provide audiences with a look into the magical universe of Carbee’s bizarre creative force. The Better Angels had its East Coast Premiere on closing night of this year's Woodstock Film Festival. 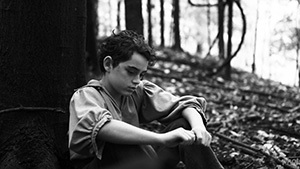 The film captures the early life of Abraham Lincoln and was shot in the Hudson Valley. During the winter of 1952, British authorities entered the home of mathematician, cryptanalyst and war hero Alan Turing (Benedict Cumberbatch) to investigate a reported burglary. They instead ended up arresting Turing himself on charges of ‘gross indecency’, an accusation that would lead to his devastating conviction for the criminal offense of homoseuality – little did officials know, they were actually incriminating the pioneer of modern-day computing. Famously leading a motley group of scholars, linguists, chess champions and intelligence officers, he was credited with cracking the so-called unbreakable codes of Germany's World War II Enigma machine. An intense and haunting portrayal of a brilliant, complicated man, The Imitation Game follows a genius who under nail-biting pressure helped to shorten the war and, in turn, save thousands of lives. 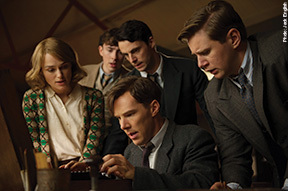 Directed by Morten Tyldum with a screenplay by Graham Moore, the film stars Benedict Cumberbatch, Keira Knightley and Matthew Goode. made its East Coast debut at the 2014 WFF . 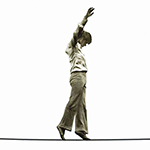 Based on the 2012 WFF Best Short Film Curfew, which went on to win the 2013 Academy Award® for best live action short. With luxurious slow-motion sequences and staging worthy of a ‘50s melodrama, Robert Greene’s celebrated new film follows Brandy Burre, an actress (HBO’s The Wire) who gave up working to start a family and decided to re-start her career years later. With glimpses of her stint on The Wire and a funny peek at Burre sifting through paltry royalty checks while her daughter plays nearby, Actress presents a sharp contrast between the allure of the spotlight and the dull rhythms that continue once it recedes. But as she returns to work, the affirmative aspect of her careerism is juxtaposed with conventional expectations about what a woman in her late 30s is supposed to want. Pivoting on an off-screen event that feels as impactful as the drama that takes place on camera, it becomes unclear how much Brandy is sacrificing the feelings and futures of her loved ones on the altar of self-interest. Acting, in the end, is not only Brandy’s profession; it’s something that she does all the time, whether interacting with her restaurateur husband Tim, her children, or Greene’s camera. With a dramatic, affective, and polyvalent ending, Greene’s film is documentary portraiture at its finest, taking on the resonance of a densely packed short story. 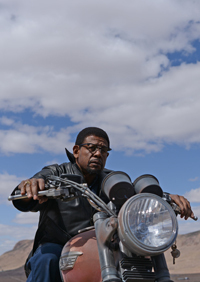 After a troubled youth and 18 years in prison, William Garnett (Forest Whitaker) is being released. With the help of an idealistic parole agent (Brenda Blethyn) and his new-found Islamic faith, Garnett struggles to rebuild his life and overcome the violent impulses which possess him. However, Bill Agati (Harvey Keitel), the Sheriff of the small New Mexico border county where Garnett is released, has other ideas. Convinced that Garnett is unredeemable and is a threat to the security of his county, Agati launches a campaign to return Garnett to prison for life. The film also stars Luis Guzman, Dolores Heredia, Ellen Burstyn, and Hudson Valley resident Tim Guinee. The film is made available courtesy of the Cohen Media Group. Rachid Bouchareb was born in Paris to an Algerian immigrant family. Themes of cultural identity and clash pervade his body of work, beginning with his first film, Baton Rouge (1985). Bouchareb was first nominated for a Best Foreign Language Film Oscar in 1995 with Poussières de vie (Dust of Life), about life in Vietnam after the war. His next film, Little Senegal, a tribute to Sergio Leone westerns and Midnight Cowboy, met with critical and public acclaim. With Indigènes (Days of Glory), Bouchareb was again nominated for a Foreign Language Film Oscar for his cinematic tribute to the thousands of African soldiers who fought and died to free occupied France during World War II. In 2011, Bouchareb received his third Oscar nomination for Hors-la-loi (Outside the Law), a chronicle of three Algerian brothers fighting for their country’s independence after 1945. Bouchareb's Indigènes (Days of Glory) opened the 2006 Woodstock Film Festival. One of the film's producers', Allen Bain, has been to the Woodstock Film Festival with many films over the years including The Cake Eaters, starring Kristin Stewart, Room, and Blackballed: The Bobby Dukes Story. In addition to appearing in Two Men in Town, Actor Tim Guinee will screen his directorial debut, One Armed Man at the 2014 WFF and will also appear on the Martha Frankel moderated ACTOR'S DIALOGUE Panel with Bruce Greenwood on Sunday, October 19 at the Kleinert James Art Center. For more information on this year's festival lineup of films, panels, concerts and special events and to purchase tickets, follow WFF on social media and visit www.woodstockfilmfestival.com. WFF welcomes back TOYOTA for year 15! After a troubled youth and 18 years in prison, William Garnett (Forest Whitaker) is being released. With the help of an idealistic parole agent (Brenda Blethyn) and his new-found Islamic faith, Garnett struggles to rebuild his life and overcome the violent impulses which possess him. However, Bill Agati (Harvey Keitel), the Sheriff of the small New Mexico border county where Garnett is released, has other ideas. Convinced that Garnett is unredeemable and is a threat to the security of his county, Agati launches a campaign to return Garnett to prison for life. The film is made available courtesy of the Cohen Media Group. Rachid Bouchareb's Indigènes (Days of Glory) also opened the Woodstock Film Festival back in 2006 and was nominated for an Academy Award for Best Foreign Language Film. Producer Allen Bain has has been to the WFF with many films over the years including The Cake Eaters, Room, and Blackballed: The Bobby Dukes Story. Co-star and Hudson Valley resident Tim Guinee is also attending the 2014 festival to screen his directorial debut, One Armed Man, as well as appear on the Martha Frankel moderated ACTOR'S DIALOGUE Panel with Bruce Greenwood on Sunday, October 19 at the Kleinert James Art Center. At an isolated log cabin in the harsh wilderness of Indiana circa 1817, the rhythms of love, tragedy, and the daily hardships of life on the developing frontier shaped one of our nation's greatest heroes: Abraham Lincoln. Using glorious black and white cinematography to conjure an America where the land was raw, The Better Angels sheds new light on the formative years of the future president and the two women who molded him into one of the most revered men in American history. Based on 19th-century interviews with Lincoln's family members, The Better Angels is a beautiful, insightful, and brilliantly composed feature debut from producer Terrence Malick's longtime protégé, A.J. Edwards. Starring: Benedict Cumberbatch, Keira Knightley, Matthew Goode, Rory Kinnear, Allen Leech, Matthew Beard, Charles Dance and Mark Strong. During the winter of 1952, British authorities entered the home of mathematician, cryptanalyst and war hero Alan Turing to investigate a reported burglary. They instead ended up arresting Turing himself on charges of 'gross indecency', an accusation that would lead to his devastating conviction for the criminal offense of homosexuality – little did officials know, they were actually incriminating the pioneer of modern-day computing. Famously leading a motley group of scholars, linguists, chess champions, and intelligence officers, he was credited with cracking the so-called unbreakable codes of Germany's World War II Enigma machine. An intense and haunting portrayal of a brilliant, complicated man, The Imitation Game follows a genius who under nail-biting pressure helped to shorten the war and, in turn, save thousands of lives. The Woodstock Film Festival recently announced that JENNIFER CONNELLY and NATALIE PORTMAN will co-present the Honorary Maverick Award to director DARREN ARONOFSKY at the 15th annual Maverick Awards Ceremony. Both of these Academy Award winning actresses have played leading roles in some of Aronofsky's most acclaimed films, including REQUIEM FOR A DREAM and NOAH (Connelly), and BLACK SWAN (Portman). 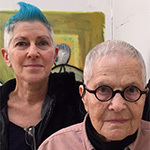 The Honorary Maverick Award is presented each year to an individual whose life and work is driven by creativity, independent vision, and social activism. Previous recipients include Peter Bogdanovich, Jonathan Demme, Tony Kaye, Bruce Beresford, Richard Linklater, Kevin Smith, Christine Vachon, Barbara Kopple, Tim Robbins, Les Blank, D.A. Pennebaker & Chris Hegedus, Woody Harrelson, Mira Nair and Steve Buscemi. The annual Maverick Awards Ceremony will be held on Saturday, October 18 at Backstage Studio Productions in Kingston, NY, and features presentations to winning filmmakers and honorary recipients, in addition to a cocktail hour, buffet, and live music by Paul Green and the Internet Trolls. The public is invited to attend. 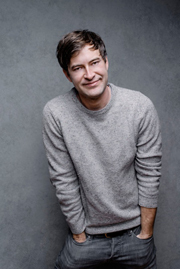 The first annual Fiercely Independent Award will also be presented to Mark Duplass that evening. Tickets for the Maverick Awards Ceremony can be purchased ONLINE or by visiting the box office at 13 Rock City Road in Woodstock. Tickets can also be purchased online at www.woodstockfilmfestival.com. Grammy® award-winning South African jazz legend HUGH MASEKELA, whose music is featured in the film A Snake Gives Birth to A Snake, will participate in several events at the 15th Annual Woodstock Film Festival. Michael Lessac's feature documentary A Snake Gives Birth to a Snake will make its U.S. Premiere on October 17 at the Woodstock Playhouse and October 18 at Upstate Films in Rhinebeck. Lessac and Masekela will take part in a Q&A following the screenings, as well as being featured on the panel, Music as the Unifying Force, presented by BMI on October 17 at the Kleinert James Art Center in Woodstock. 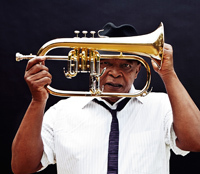 Hugh Masekela is a world-renowned flugelhornist, trumpeter, bandleader, composer, singer and defiant political voice. He has released over 40 albums (and was featured on countless more) and worked with legends like Harry Belafonte, Dizzy Gillespie, The Byrds, Miles Davis, Abdullah Ibrahim, Paul Simon and the late Miriam Makeba. His eclectic musical style is pervaded by jazz and mbaqanga combined with a gravelly voice, stirringly smooth horn sound and an ever-present concern for his home country and continent. Masekela has been honored with a Grammy Award, a Lifetime Achievement Award at WOMEX and having March 18th proclaimed 'Hugh Masekela Day' in the US Virgin Islands. 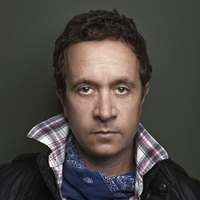 See his documentary Pauly Shore Stands Alone and then come out to see the man in person for a night of laughs. The event is scheduled for 10 pm on Saturday, October 18 at the Colony Cafe at 22 Rock City Road, Woodstock, NY. Tickets can be purchased ONLINE. Stand-up comic, actor, writer, director Pauly Shore tasted super-stardom in 1990 when his precedent-setting MTV show Totally Pauly hit the airwaves to major fan approval. In 1993, he wrote and starred in a one-hour HBO television special, Pauly Does Dallas. He had roles in films from 1988, providing supporting comedy relief, but it was the wildly popular Encino Man, that put Pauly on the map. Comprised of psychological enigma and horror, as well as humor and sadness, Creep is a two-man story set in a remote mountain cabin in the woods. Joseph, expecting to die soon of an unstated illness, hires Aaron through an online ad to document the end of his life as a legacy to his unborn son. Starting innocently enough, we meet Aaron, a warm-hearted, down-on-his luck filmmaker, played to perfection by director/co-writer Patrick Brice. After an unsettling arrival at the cabin, Aaron is soon greeted by Joseph, the somewhat off balance, yet diabolically sweet and charming protagonist, portrayed with an inspired mix of goofiness and darkness by indie icon Mark Duplass (who co-wrote the script). But watch out Aaron, Joseph may have more up his sleeve than appears to the naked eye. Unscripted and electrified by the remarkable talent of the two actor/filmmakers, Creep is a roller coaster of wits that twists the viewer's mind and heart. This film will keep surprising you until the very end. In Patrick's Day, Terry McMahon writes and directs about the destructive force of love, the question of sanity, the value of intimacy, the impact of memory and the consequence of choice. Patrick, a warm, open, twenty-six year old virgin schizophrenic played beautifully by the talented Moe Dunford, falls in love with Karen, a suicidal flight attendant, setting off a magical yet impossible love affair. Convinced that Karen will either break her son's heart or steal his affection, Patrick's mother enlists the help of dysfunctional detective, who will use his position to help her, for a price. With exquisite cinematography and stellar performances, audiences are skillfully guided on a ride through a chaotic circus of emotions in this provocative Irish film. Crescent Bay is not the best place to live out one's golden years. Once an idyllic retirement community, the secluded neighborhood has been beset by mysterious and deadly attacks. When grizzled war veteran Ambrose McKinley (Nick Damici, Stake Land) moves in, the residents immediately take offense to his abrasive personality. But his take-no-prisoners attitude is just what he needs to survive as it becomes clear that the increasingly violent and patterned attacks are beVisit Websiteing caused by beasts that are neither animal nor man, and that the tight-knit community of Crescent Bay is harboring something truly sinister in its midst. Told from the inside out with haunting revelations along the way, we first meet Harlon as a vulnerable three-year old, back to camera, as he endures the abuse of his cruel, homophobic and overbearing father. Growing up in gun country and forced to shoot a white rabbit, Harlon's world is soon infiltrated by voices and images that take on increasing ferocity as he becomes the target of schoolyard bullies. His only friends are Julie, an emotionally unstable newcomer, and his best friend Stevie, a vulnerable, undersized side kick. White Rabbit is a voyage into the heart of madness so skillfully drawn we can't help feeling compassion. Flawless performances coupled with first-rate cinematography in the service of an all too timely subject make this a psychological study you won't want to miss. This is masterful filmmaking. The beauty of the land cannot mask the brutality of a farm town. Gorgeously shot against the backdrop of rural Kentucky's working farms, first-time writer/director Kimberly Levin's beautifully crafted, emotionally gripping debut explores the all too real struggles of the American farming community. Betty is a fiercely committed matriarch driven to desperate measures by a failing business, her husband's deteriorating health and a family home on the brink of foreclosure. Played by Joanne Kelly, Betty is the beating heart of this sensitive, skillfully written narrative, which flips the standard gender dynamic and brings unexpected insight and realism to an established genre. Called "inexorably powerful" and "riveting" by Variety, Levin's stirring family drama touches on matters of social conscience and environmental justice to ask: How far will we go to save our families? When four high school friends venture into the wilderness for a hunting trip, one of the boys shoots a stranger in the woods, mistaking him for a deer. At first the four friends work together in a frantic struggle to save the wounded victim, but when this fails they are paralyzed with fear and uncertainty, and soon become divided about what to do and whether to hide this terrible accident. Increasingly desperate to stay out of trouble they act with the hope of leaving their nightmare behind, yet each decision only deepens their guilt and further ensnares them in a web of unforeseen consequences. The word unicorn conjures up the sense of fanciful imagination and mythical realism. It also conjures up the longing for the unrealistic and unbelievable to be true. In Leah Meyerhoff's debut feature, imagination and reality become interchangeable. Davina, played with stunning range by Natalia Dyer, seeks to escape her dire life taking care of her disabled mother, by creating dreamy settings in her room and looking for romance and adventure away from home. She finds all of that, and then some, in Sterling (Peter Vack), an older "bad boy" who seems to have invented cool. The two set off on a wild adventure where playfulness and passion collide. A celebration of color, sound and whimsy make I Believe in Unicorns something you want to believe in. Daniel (Bobby Moynihan, SNL) is a kind and introverted client at the office. He and Amelia share many of the same idiosyncrasies, fears, and overall naivety. Amelia finds her second prospect from clues written in the margins of a book. 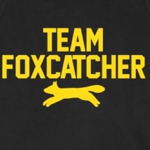 Leonard (Micah Hauptman, Everest), whose originality and unpredictability immediately attract her, leads the story into a Feliniesque and humor-filled entanglement. Liz Manashil directs a cast of talented actors to make her oddball characters come alive. This quirky and endearing film will bring audiences together, like Bread and Butter, in an experience both heartwarming and distinctly human. Maddy runs a New York interior design firm with her mother, Diane. When a hit and run accident kills Diane, Maddy returns to rural Wyoming for the funeral, for the first time in fifteen years. There, she stays with Shirley, her Mahjong-playing grandmother. But when Maddy reconnects with Kate, an old childhood friend, it reawakens memories of their violent, troubled past. As both women tiptoe around their history, they live hard and booze their way through the mourning process along with Jack and Stewart, two local bull riders. Immersed in cowboy culture, the girls embark on a kamikaze course, running from the past and toward thrills and comfort. But pressure builds and their extended reunion proves that neither control nor chaos can erase their trauma. And if they can't erase it, they'll either have to make peace with it or set it on fire. Robbie is a guy who's looking for an escape. Venturing to Upstate New York to flee the city and complications of his marriage, he arrives at his aunt's bucolic country home where he hopes to find room to breathe. He soon discovers that the house has been repurposed as a respite home for pregnant teenage girls. Despite doing his best to keep to himself, Robbie soon forms bonds with the girls, stirring up the kinds of emotions that he was attempting to escape and creating an upheaval of jealousy and love triangles where rest and tranquility are meant to be the norm. Prominent Indie director, Nathan Silver, presents a film inspired by his mother's life. 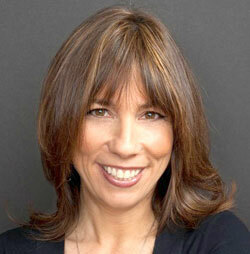 Cindy Silver (Nathan's real life mother) plays a lead role that steals the show. The rest of the cast, comprised of professionals and non actors make this gem of a film authentic. Filled to the brim with scenes that are both poetic and wrenching Uncertain Terms is an original story about how love isn't always as easy as boy meets girl. With a reputation as cold, forbidding and remote, Antarctica can also be a fragile place, home to an incredible variety of life along its edges. Join National Geographic explorer Jon Bowermaster as he and his team travel along the continent's frozen coastline in Antarctica 3D, On The Edge. The adventurers explore by sea kayak, ice-worthy sailboat and on foot to gain an up-close look and attempt to better understand just how the seventh continent is changing – and in some parts changing very fast -- in part due to a warming ocean. Meet scientists and the wildlife they study up-close and learn about the history of exploration and the continent's future. From its place anchoring the bottom of the globe, Antarctica might seem too frozen to have any impact on the rest of the planet. But the very fact that it is constantly changing – the sea around it freezing and thawing every year – makes it the planet's beating heart, its rhythm intimately influencing the earth's weather, ocean currents and climate. Limited Partnership is a love story spanning 40 years between two men who fought the system and never gave up. In 1975, Richard, a Filipino-American, married his lover, Tony, an Australian citizen living in the US, thus becoming one of the first gay couples to legally marry. Soon, though, the happy couple received a letter from the Immigration and Naturalization Service stating, "You have failed to establish that a bona fide marital relationship can exist between two faggots." Outraged by this blatant show of discrimination, the couple sued the U.S. government, becoming the first to officially seek equal treatment for a same–s@x marriage in the U.S. What ensued for the two men was decades of legal battles that mirrored the LGBT marriage and immigration equality movements. Through it all, they never lost their sense of humor and joyous disposition. A David and Goliath story, Limited Partnership is ultimately both celebratory and inspiring, reminding us that love and tenacity are powerful life tools. How many hands touch your morning coffee before you? How many of those hands are women's? One man's soul searching decision on whether or not he should join Facebook sets him off on an epic journey of self-discovery as he weighs the pros and cons of becoming a member of the world's largest social networking site. Along the way he talks with family, friends, total strangers and even celebrities whose lives have all been touched in one way or another by Facebook. From the long lost high school friend who uses it to stay in touch with classmates, to the pick-up artist who trolls the site to score with women, to the criminal who tracks your every movement to know when to rob your house, the best and the worst of Facebook is on display. Artist Jason deCaire Taylor is a passionate environmentalist who is concerned about what the world will look like for future generations. Marcy Cravat's beautifully shot film transports us to an underwater world populated by Taylor's hauntingly life-like statues that give birth to an artificial coral reef designed to restore the ecosystem. Through stunning underwater cinematography, we see his magical creations in various stages of being transformed by coral, algae and other forms of life. We also experience the mentoring of local artisans in the Yucatan peninsula, where Taylor's project is conceived, and the camaraderie that comes from his labor-intensive plaster casting of real people. As is often the case, Taylor must play the political game as he seeks to install his sculptures in some of the Earth's most beautiful - and endangered - underwater habitats. "Angel Azul," like Taylor's moving artistry, forces us to consider our choices and the impact of climate change already being felt around the world. At first glance, you might think Razan Shalab al-Sham and Mouaz Moustafa are just your average young Middle Eastern professionals – bright, sophisticated and tech savvy. The truth is hardly average – these two are revolutionaries. They are conspirators in a deadly serious collaboration to create a secular, democratic Syria, and the risk is enormous. Mouaz, Executive Director of the Syrian Emergency Task Force, practices shuttle diplomacy on the international stage, while Razan, from one of Syria's wealthiest families, commands a team of dedicated "smugglers," delivering humanitarian aid, medicine, fighters, money and journalists into Syria. As the situation deteriorates, the two activists feel certain the West and the free world will intervene once the Red Line – the use of chemical weapons – is crossed. Yet no military aid is forthcoming, even as we witness dead and dying children, victims of a brutal regime intent on destroying its own people. This is a harrowing story, all the more so because it is still going on. Unforgettable, graphic and not for the faint-hearted. At first glance, Mentor, Ohio, seems like any other wholesome midwestern town, even earning a spot in Money Magazine's 100 Best Places to Live. But Mentor's tree-lined streets and marching bands could not prevent the spate of teen suicides caused by relentless bullying and an indifferent school system. Devastating, illuminating and buttressed with a haunting score, director Lambert skillfully documents bullying in the internet age and makes us wonder if Mentor is just the tip of the iceberg. This film is thought provoking and unforgettable. The Hand That Feeds shows what solidarity can do when a small group of restaurant workers in New York City go from invisible laborers to budding union members. In this classic underdog story, we witness the courageous actions of undocumented workers at the Hot and Crusty café in NY City's Upper East Side. Although they are smiling on the job, these workers are subjected to sub-legal wages, dangerous machinery, and abusive managers who threaten to fire them for calling in sick. When mild-mannered sandwich man Mahoma Lopez has finally had enough, he convinces a few of his co-workers to join him in protest. Risking deportation and loss of livelihood, the workers, joined by a crew of young organizers, ride out a year-long roller coaster of events to set a historic precedent for low-wage workers. Watching them in action is a deeply humanizing experience that will change how we view peoples' struggle for rights and activism in general. If the whole of humanity were marched before our eyes, it might resemble Down in Shadowland, a descent into the subterranean universe of the iconic New York City subway. Told in eight parts, each probing ever more deeply into the human psyche, Shadowland is a profound meditation on the human condition. This is a world where the camera is restless, constantly exploring, unearthing private movements, holding until we are struck with revelation. A telephone receiver hangs down, an impotent reminder of disconnect, like the hordes of people oblivious of one another. Just when we think we're following someone, they disappear. The train itself becomes both serpent and protector, alternately maniacal and comforting. Every strata of life – howling madmen, distracted mothers, sleepy children – reveals itself. Bold, masterful and entirely unpredictable with a soundtrack that propels us forward with the velocity of the train itself, Shadowland is a remarkable film that leaves no doubt we are in the hands of a master. Join WFF at the Maverick Awards Ceremony on Saturday, October 18 at Backstage Studio Productions in Kingston, NY, where our jury of top industry professionals and filmmakers will announce all the winners in front of over 500 guests in attendance. Renowned filmmakers Darren Aronofsky (this year's Honorary Maverick Award recipient) and Mark Duplass (the first annual Fiercely Independent Award recipient) will be on hand among the many recipients to be honored at the event. To see a full list of films and jurors in the 2014 competition, check out our press release HERE. A special kick-off event featuring the WORLD PREMIERE of Erez Miller and Henrique Cymerman's feature documentary East Jerusalem/West Jerusalem. 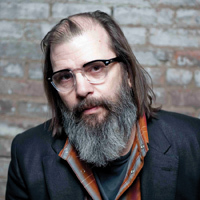 Filmmaker Erez Miller and two of the film's subjects, David Broza and Steve Earle, will partake in a Q&A and live acoustic concert following the screening. 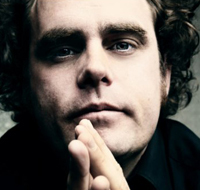 The performance will feature songs from the East Jerusalem/West Jerusalem album and more. 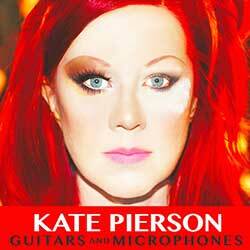 The event is scheduled for Wednesday, October 15 at the Woodstock Playhouse at 103 Mill Hill Road, Woodstock, NY. Tickets can be purchased ONLINE. 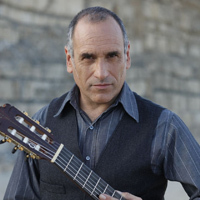 David Broza has been considered one of the most dynamic and vibrant performers in the singer/songwriter world. He fills concert halls with his famous guitar playing, ranging from flamenco flavored rhythmic and percussion techniques, to whirlwind finger picking, to a signature rock and roll sound. Broza unites the styles of the three countries in which he was raised (Israel, Spain, and England) by utilizing his ability to take on the troubadour tradition, up to now, featuring lyrics of the world's greatest poets. FULL FESTIVAL PASSES ARE NOW ON SALE! Get your 2014 WFF Full Festival Pass now. Only a limited number will be sold! *Please note that concert admission is NOT included. Come by the film center at 13 Rock City Road in Woodstock or order ONLINE. Take pictures prominently featuring the WFF button in "fiercely independent" locations and post to instagram, twitter or Facebook. Don't forget to tag the Woodstock Film Festival! 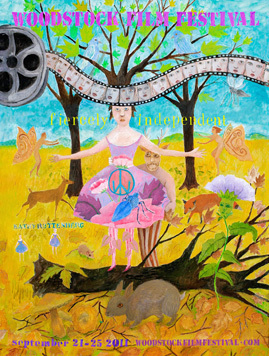 The 12th Annual Fiercely Independent Woodstock Film Festival, kicking off Wed. Sept. 21 through Sun. Sept. 25, has unveiled a sneak peek into its 2011 line-up of nearly 150 films, panels, performances and special events. Screenings and events will take place in the historic arts colony of Woodstock, and the neighboring towns of Rhinebeck, Rosendale and Kingston, in the Hudson Valley Catskills, just two hours from NYC. "This year's program reflects the extraordinary works of filmmakers from far - flung places such as Bulgaria, Spain and Israel, to those from our backyard right here in the Hudson Valley," said Meira Blaustein, WFF co-founder and executive director. "Today's Filmmakers continue to carve their own interpretations of global events and individual nuances, pushing the envelope, delving into unchartered territories and unflinchingly exploring and bending genres, stories and characters. We are proud to provide the Woodstock platform for them and are eagerly waiting to have them and their work with us this fall." 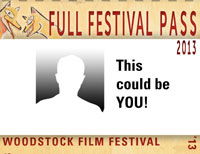 The complete 2011 WFF line-up will be unveiled end of August. 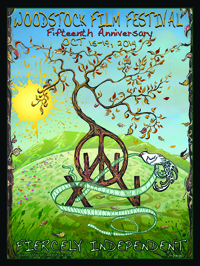 Want to get the ultimate Woodstock Film Festival Experience? The best way to see and do all that you'd like is by purchasing a Full Festival Pass. These passes are very limited. Only twenty are available. In this film by WFF 2010 Honorary Maverick Award recipient Bruce Beresford (Driving Miss Daisy, Tender Mercies) Oscar nominated actress, Catherine Keener, plays a conservative lawyer who takes her two teenage children to meet their estranged, hippie grandmother (Academy-Award winner Jane Fonda) in Woodstock. 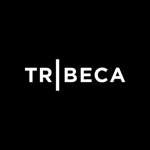 Shot and produced here in the Hudson Valley, the opening night film will take place Thursday, ASeptember 22, at the newly renovated Woodstock Playhouse. Beresford, along with writers, producers and select cast will attend the Q&A after the screening. 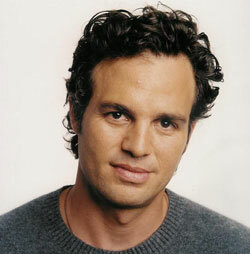 Academy Award Nominated actor, MARK RUFFALO, is a resident of the Catskills and an active supporter of the anti-fracking movement, traveling to Albany and Washington to protect safe water for the region. Easily moving between stage and screen his most recent roles include Collateral (2004),Eternal Sunshine of the Spotless Mind (2004), Shutter Island (2010) and The Kids Are All Right(2010). Two-time Golden Globe Award Nominated actress and Emmy Award winner, ELLEN BARKIN, is known for her remarkable roles in Sea of Love (1989), Fear and Loathing in Las Vegas (1998) and more recently Ocean's Thirteen (2007). What's Woodstock Without Music? 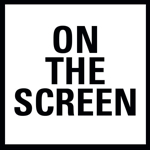 WFF's popular music programming of iconic musicians, music as political dissent, music videos, and bands vying to be heard, along with the always popular BMI Music panel is expanding this year with an all new exciting, Live Music Concert Series curated by School of Rock founder Paul Green. WFF is proud to present a series of concerts every night throughout the festival, including a performance from Betty, a wildly fun pop band from NYC whose transfixing music combines the ordinary and the surreal. The band has won two Emmy's, two BMI Career Excellence Awards, numerous humanitarian awards and the hearts of fans everywhere. They will be performing in Woodstock on Saturday, September 24. Stay tuned for the complete concert series line-up. BATTLE OF THE S#XES is at it AGAIN! Signe Baumane, creator of Teat Beat of S#x and many other films, will represent five luscious and lascivious films by animators Eveliene Hoedeckie, Saray Dominguez, Michaela Pavlatova, Joanna Quinn, and herself. Oscar-nominated Bill Plympton is ready to go the distance with five films by men, including himself, John Goras, PES, Duncan Beedie, and Ondrej Rudavsky. You will laugh, you will squirm, you will want more. And you will help decide the winner. Of course, there’s more! Ticket price includes delicious food and libations, as well as a souvenir glass. *This show is not for the easily embarrassed, nor those under 21 years of age. Vera Farmiga's directorial debut Higher Ground will receive a limited theatrical release on August 26. After touring as a multi-festival hit, the locally shot film will open in New York and Los Angeles, with a wider release to follow. Shot right here in Upstate New York, the film has been receiving rave reviews, and was a huge hit at the 2011 Sundance Film Festival. Higher Ground depicts the landscape of a tight-knit spiritual community thrown off-kilter when one of their own begins to question her faith. Inspired by Carolyn S. Briggs' memoir, This Dark World(screenplay by Carolyn S. Briggs and Tim Metcalfe & Carolyn S. Briggs), the film tells the story of a thoughtful woman's struggles with belief, love, and trust. Faith, love and honesty are the cornerstones of this story of a woman who learns that no matter how many times she loses her footing, she has within herself all that's necessary to get to a higher place. Perfect Age of Rock 'N' Roll, official selection of the 2009 Woodstock Film Festival, received a limited theatrical release on August 5 in New York, Los Angeles, and Dallas. Luckily, for those who missed it, the film has been released simultaneously On Demand across North America, and is available to watch instantly! In the film, a pair of longtime friends channel their talent and passion for music into a cross-country road trip that brings them face to face with their past, present, and future. A world famous musician, whose debut album is a huge hit, retreats to his hometown after his sophomore effort flops. There he reconnects with his long lost best friend and fellow musician, the son of a punk rock guitar legend, who became a middle school music teacher. The reunion forces the two to recall their youthful ambitions and reexamine the choices they've made. Accompanied by a raucous crew of musicians, they set off on a cathartic journey along historic Route 66 that brings them closer to each other, their history and their destiny.